A married lady with a 2 year old dogger here to talk about books & show off my not so great doodles & adventures through BuJo-ing. Bear with me as I find my way through this new site & chapter of my life. As you might have guessed from the title, I am starting a new series of posts on this blog. Right now, I am lacking in creativity, so the title of these types of posts might change when I feel more inspired. But for now voilà! So one of the things I decided to do with my journal this year, was to include more bookish content. I wanted to not only track the books I read, but also the author (to check if I was reading diversely), pub dates for my Netgalley reads, and to include some individualized spreads for the notable books I read. With these goals and ideas in mind, three bookish journal spreads/sections were born. In order to maintain my focus within this post, I am only going to share with you a couple of pages from one section in particular. I guess I’m calling this section my book review spreads? I know it is extremely creative. Truthfully I haven’t titled it anything, the section just kind of grew into what it was as the ideas for it bounced around in my head. But there are two basic components to these sections. A quotes page and a review page. 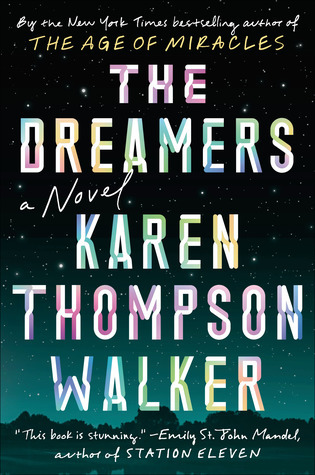 The first page or cover page will list either one quote or, in the case of The Dreamers, several. And page two will be a brief, handwritten review of the book. Any overflow of thoughts will be accounted for here on my blog. And I will also include the synopsis’ here. Synopsis: In a college town located in the hills of Southern California, a freshman girl stumbles into her dorm room, falls asleep, and doesn’t wake up. She falls into a deep sleep that no one is able to wake her up from. Then another girl in the same dorm room falls asleep, and then another. And then panic begins to erupt throughout the college campus. Pretty soon, it becomes clear that this mysterious sleeping sickness isn’t just infecting college students, but spreading into the town around it. A quarantine is established and the National Guard is summoned to take control of the whole town. Several stories of those who live in the town unfold as they try to come to understand what the illness is, how it spreads, and how they can stop it. Final Thoughts & Recommendation: As you can see from the review page, I gave this one a 3.5 star rating. I would recommend it as it does offer a lot of beautiful insights to human nature. There is a lot of plausibility in what occurs and there are many nods to how our current society operates. You believe in the probability of something like this happening, which makes the story even more compelling. There are also a lot of abstract concepts (like the idea of dreams) tied into this one. The reason this rating fell in the middle of the road for me was because I feel like it builds up so much that you expect there to be a tangible explanation of the sleeping disease. But I didn’t get that. If you have that as your expectation, I am sure you will be bound to love it. So yes, in short, I do recommend this one! What is everyone reading this weekend? I hope whatever it is, its a good one! Is 2019 your year to journal? Last year, there was a lot of creation and transformation that went on behind the scenes with my bullet journal. I featured some things, but definitely held a lot back. And I think a lot of that had to do with me wanting to find my particular style of bullet journaling. In fact, I still haven’t found my exact style. And I think that’s ok. I think we’re always evolving and changing as humans, and therefore, our styles likely change as we do. But for now I feel like I am in a place of contentment with my bullet journaling system, and I want to share a little bit of my experience with all of you. About two years ago, I kept seeing gorgeous planners all over my social media. And I thought I could totally do that. So I bought a journal and a sh*t ton of supplies and was so pumped to begin my journey into bullet journaling. I set up my index, my future log, my first monthly spread, and the start of my first weekly spread. I was feeling pretty good. Then I realized about four hours had gone by. My initial enthusiasm slowly began to deflate. A friend told me I would get better at it. That it would become easier. But as time went on and as I persisted, the traditional system of bullet journaling felt too cumbersome to me. I would spend hours on pages that I never had a use for. I would lose motivation on certain projects because I had no end goal in sight. This whole hobby (that I thoughtlessly spent a ton of money on products for) kind of blew up in my face. But the feeling of failure was only temporarily. From this learning experience spawned a new one: mastering the art of bullet journaling in a way that worked for me! Everyone is different, and therefore, everyone’s journal will look different. What works for me, might not work for you. But below are some tips that I wish I would have read about before I began my journey into journaling. Walk away from the journal for some time and come back once your stress levels are down. This actually happened to me recently and when I returned to the journal I was like “Oh, this looked far worse in my mind than it does in reality.” I kept the page and it ended up developing into something I liked. Purchase some Washi Tape and/or white out. Both of these work out fine for covering any minor mistakes like spelling errors or if you want to rephrase something or redraw something. And the Washi tape comes in so many colors and patterns that it really can only enhance your page. I have also seen other journal-ers black out their mistakes with a black pen and then write over it in white gel pen. This is a brilliant way to fix minor errors with text, in my opinion! Ease into purchasing supplies. I think another thing with journaling is that you can easily become so overwhelmed. There are millions of options when selecting a journal, pens, styles, etc. to establish. Buy one journal and tell yourself you are going to fill it to its entirety, mistakes and all. Then select 1-2 styles of pens and maybe buy a few rolls of Washi tape to start. You don’t need to have a million supplies to create something beautiful or “Instagram,” worthy. Simplicity is also lovely and it doesn’t break the bank. (<–Words of someone who wishes she would have heard this advice two years ago, hah). Plus, you might end up wasting pens or markers you aren’t thrilled with if you overspend initially. Don’t play the Instagram comparison game. We all do it, but try not to let this get you down. Unless you are a born or classically trained artist, NO ONE starts out bullet journaling with gorgeous pages that get 1,000+ likes. It doesn’t happen like that. Instead of thinking (like I have): Gosh I’ll never have pages that look like that. Use Instagram as a spring board for inspiration. There are so many talented journal-ers out there that give me inspiration when I feel my creative juices are low. You can also use some aspects of their work as a way to practice. I wouldn’t recommend copying pages 100%, but there’s nothing wrong with allowing it to inspire your journaling experience. Do it with a buddy (if you can). If you’re someone like me who’s a little bit more self-conscious about certain things, find a friend you can share your pages with. And if you don’t have one, HI! HELLO MY NAME IS COURTNEY LYNN AND I’LL GLADLY BE YOUR FRIEND! *waves* I have a go to bud (take a guess who if you read my blog pretty regularly ;)), whom I recently started doing dailies with. Its an exciting part of the experience to get to show her my daily entries and to also see hers. So if you want a friend to do something like this with, I’ll gladly be your girl! Or if you aren’t a fan of mine, you should check out journalingyourway. They do monthly drawing based prompts for journals and its always fun to see what everyone comes up with. Or if you just need a source for further inspiration, look no further! Coming up next in the journaling portion of this blog: My journal goals of 2019! Happy New Year All [d: Gelukkig Nieuwjaar]! I hope everyone is having a good start to 2019! But even if you aren’t enjoying yourself today or are going through some difficulties it doesn’t mean your year still can’t be good. This is just the beginning. Every day is an opportunity for you to be the best version of yourself. The year just makes up the bigger picture of a bunch of tiny goals that you can set for yourself each day. So even something that starts off as ugly can transform into something beautiful. In keeping with tradition, I am going to catalog my goals for reading for the year. Originally, they seemed pretty simple, but the more I thought about them, the more involved they appeared to get. So some of my goals come with stipulations and sub bullet points. But I think these goals will make my reading experience in 2019 more meaningful. I am adopting a “read what you own,” mindset. (After today though because I just bought 7 books from B&N online haha). Like many others in the bookish community, I have WAY too many books that remain unread on my shelf. I need to knock some off my TBR shelf and onto my read shelf (and maybe get some new shelves), and I am hopeful this will finally be the year I achieve that! Or at least, the year I have more read than unread books. I will continue with my BoTM subscription, but I will only allow myself 12 books throughout the course of the year. I have two credits left over already, so I think I shouldn’t have any problems with maintaining this. For every five books that I have owned from 2018 or before, I will allow myself to purchase 1 book. I plan on only purchasing books from female authors as I would like to broaden my horizons this year and learn more about different cultures and see things from different perspectives. I also have some works from diverse, male writers that I would also be open to exploring as well. Also, there is a great sub-community of Bookstagram emerging this year called thebookcult. It is headed by tablereading, who is all about diversity and inclusion. She’s fierce and holds a lot of “unpopular” opinions by the white majority of Bookstagram, but I believe her intentions are honest and noble. Having talked with her a couple of times on DM, I know she has a good heart and truly just wants to be an ally and help fight the good fight. A lot of my goals are inspired by her and this group. While I might not strictly read female or diversely this year, I am going to increase my stats in both of these areas. Another goal I have in mind for this year, is to write some meaningful reviews within my bullet journal. I didn’t use it a lot for this last year, and I want to kind of the way I use it for this year. I will have a separate post that will include all of my bullet journal goals for this year, so stay tuned for that if you’re interested. With regards to NetGalley reads and my Amazon Kindle, I would like to try and eventually read everything I have right now on it and then maybe raffle it in a giveaway. I don’t know if this will end up being a 2019 or a 2020 goal, but it is something I have been considering for a while. I also think I will refrain from requesting NetGalley ARCs this year. I think I got into the business of doing it because I wanted to be “cool,” and get “ARCS.” I think I’m done trying to be what I think Bookstagram wants me to be. I am going to stay true to myself this year, and do my own thing. As far as reading challenges and readathons go, I will definitely be doing the Bout of Books week long challenges hosted by Amanda Shofner & Kelly Rubidoux Apple, and the Beat the Backlist challenge hosted by NovelKnight. This year I am also doing the Hogwarts Mini challenge that is included in the Beat the Backlist challenge. This is another way to track your reads and earn points for your house. All of my fellow Hufflepuffs should join with me! But even if you don’t do the Hogwarts Mini challenge, you should sign up for Beat the Backlist. Especially if one of your goals is to read books you own from 2018 or later! Also for another component to Beat the Backlist is that you participate in a photo challenge with one of their prompts. I am going to tell myself to do one per month, but I might end up doing more if there’s a good one. And finally, I am aiming to read forty [d: veertig] books this year for my Goodreads challenge. If I end early, I will increase the count by ten [d: tien], like I did last year. So that is it as far as my bookish goals are concerned. I have a lot of other personal goals that I might catalog in another post, especially since I think this blog might include more than bookish content in future. What goals does everyone else have for themselves this year? Anyone in need of a cheerleader for any of them? Until next time my bookish buds! Happy Christmas Eve bookish buds! For some reason the holiday season hasn’t been very merry for me. It has had moments of goodness, but there has mostly been a shadow of grey hovering over me. There are a few things I think that have been consistently triggering this feeling. I have tried to avoid them, but sometimes you have to face your demons. Anyway, I preface this post with some less than joyous tidings because I think this will be my last post of the year. I have mentioned a couple of books that I intended to read to finish off the year, but I don’t think I am going to cram them in. I think I am going to take it easy for the rest of the year to help restore my mental health and to also try to enjoy the holidays with my family as best as I can. Below are some of this year’s notable reads that I wanted to share with everyone. I will also remind everyone that these all have reviews in some form on various sites, and to check out the drop down link beneath ‘Book Reviews.’ I included the links to my full reviews below and also some comments on books that I REALLY think everyone should be reading. 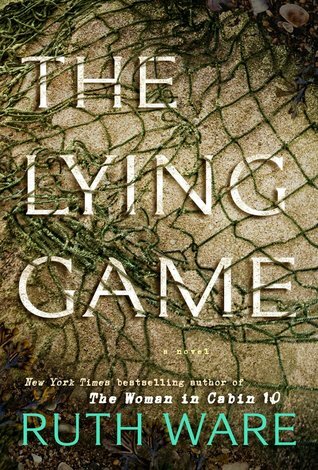 My first review of the year: The Lying Game by Ruth Ware [x]. This one straddled between 2017-2018, but I still counted it as my first completed book of this year. An older book that you enjoyed: A Wrinkle in Time by Madeleine L’Engle. This is YA one that is really beautifully executed. I loved how it was so many genres wrapped into one, and they all worked very well together. 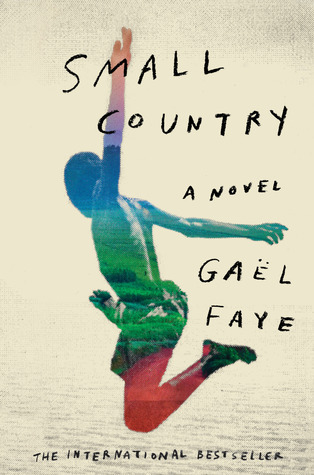 A book I feel is not well known, but deserves all the recognition and praise: If you enjoyed books like The Kite Runner, I highly recommend Small Country [f: Petit pays] by Gael Faye. 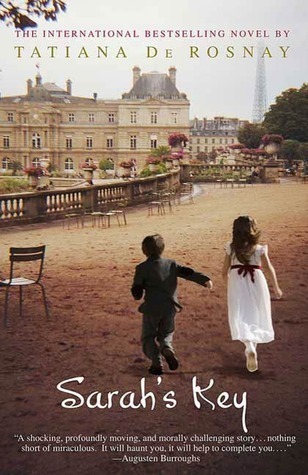 It isn’t set in Afghanistan, but in Burundi, and tells a similarly tragic yet beautiful tale of friendship, family, and growing up in a country that descends under the cloud of occupation and warfare. Originally in French, I read the English translation and found the language to be so poignant still. This read might be small, but it is definitely mighty! A hyped up book that lived up to the hype: How to Walk Away by Katherine Center. If you’re someone like me who occasionally needs to break up serious fiction, thrillers, and mysteries with something more lighthearted, this is a great read to pick up! Its wry, empowering, and I mean…who doesn’t have a thing for a surly Scottish man? 😉 Check it out as a summer read or a summery read to break through the grey-ness of winter! 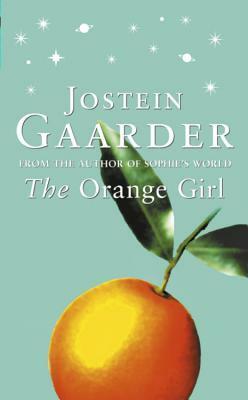 The shortest book I read: The Orange Girl by Jostein Gaarder came in at 151 pages. I read this for the #BoutofBooks read-a-thon challenge and it really helped keep my motivated to plow through more books due to its length. It was also SO beautifully written. I highly recommend this one if you haven’t read it! Books I did not finish this year (or least favorite): Northanger Abbey & The Adventures of Sherlock Holmes. I just don’t think I am one for classical reading. My last review of the year: For Better and Worse by Margot Hunt was a thrilling read about how far a person might go to save a person they love. This one kept my attention throughout and I actually finished it in a day and a half. 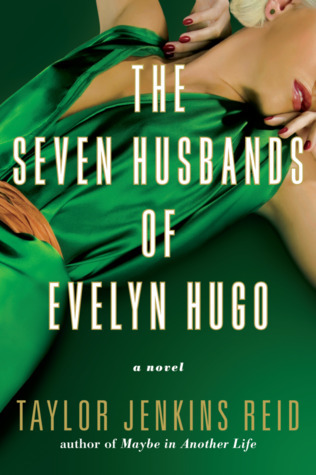 I wasn’t as keen on the husband’s POV and the rushed wrap up at the end, but I would still recommend this one. All in all, I read “40” [d: veertig] books this year, and FINALLY completed a Goodreads Challenge! I feel like it is an accomplishment and was the perfect amount of books for me to read in a single year. Originally I started out at 30 [d: dertig], but met that goal end of October/Early November, so I tacked on 10 [d: tien] more books thinking over enthusiastically “I got this. I can do this.” And for once, I actually did succeed, hah! Knowing I can get to 40, I think I will aim for that number and then if I meet it early, I can increase the count 🙂 I am not yet confident to increase my number of books to 50, and maybe I am not meant to get that high of a count. But either way, I am content with where I am now, and what my initial goal is for the coming year. Here’s to 2019 my friends [d: mijn vrienden]! How seriously would you take these wedding vows if something like murder was on your spouse’s mind? 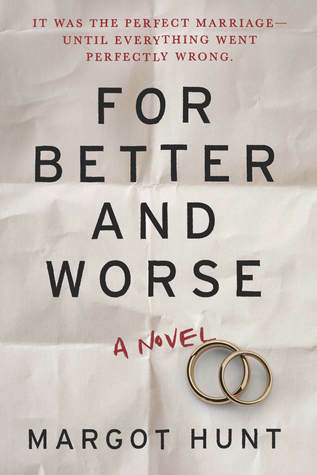 First of all, Happy Pub Day to Margot Hunt’s novel, For Better and Worse! For my BoTM subscribers you will definitely want to add this as an extra book for your January box. If you aren’t a BoTM subscriber, you should still find this one on a bookstore shelf somewhere! My quick & dirty thoughts on this crime thriller: Seriously gripping, heart pounding, and nearly impossible to put down while you’re in the middle of it. For Better and Worse expertly executes the question: how far would you go to protect and save the people you love? Told in three parts, two of them from Natalie’s POV and one from Will’s POV, we understand there are multiple sides to every marriage, just like there are with individual people. What is great about this one is the slow build. We slowly learn about their marriage, the scandal that is rocking their small town, and then around page 80, suddenly we are hit with the blunt object of this plot. Soon after, everything spirals into chaos. You can feel Nat’s heartache and Will’s anxiety and guilt through their individual sections. Hunt is wise enough to bring an array of emotions to the surface as no two people would react the same to some horror of this magnitude. One slight issue I took with this one was Will’s commentary of their marriage. It was a typical guy thought process, so logically it made sense, but I didn’t like some of the thoughts he had surrounding his wife. They were a bit eye rolling and chuckle worthy because sometimes men need to get over themselves and take responsibility for their actions; just like women are forced to. He did show some growth towards the end, and Nat was also more prominently featured so I think that saved my overall rating for this one. 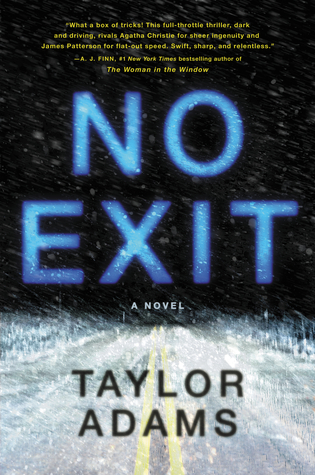 For all my thriller fans out there, this is one you definitely want to pick up! So it’s Tuesday and we are literally three [d: drie] weeks away from the end of the year! What is everyone out there reading to wrap up their year? Or are you taking a break to work on some other things? I have at least two more blog posts planned for the year, and then I think I will take some time to work on that monster of a novel I started and then only got about halfway through during NaNo.